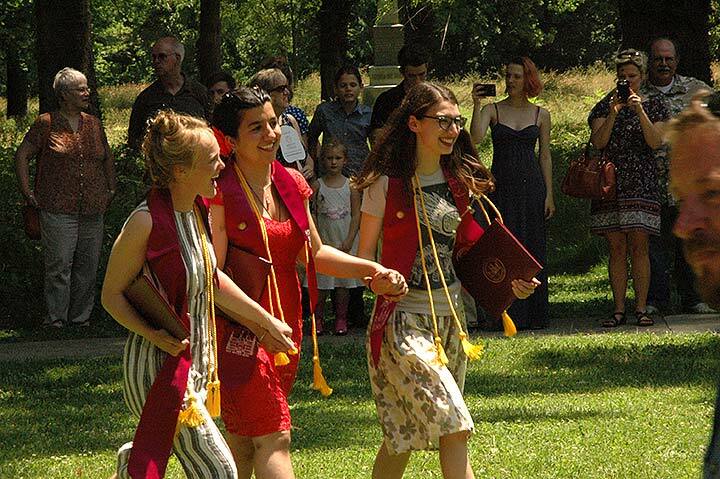 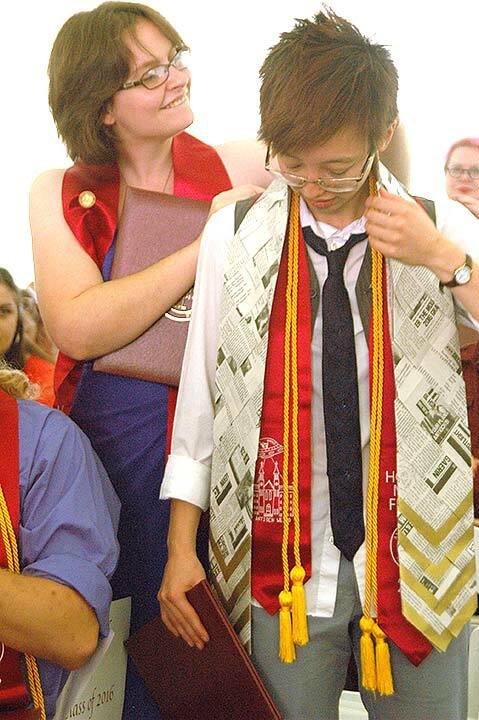 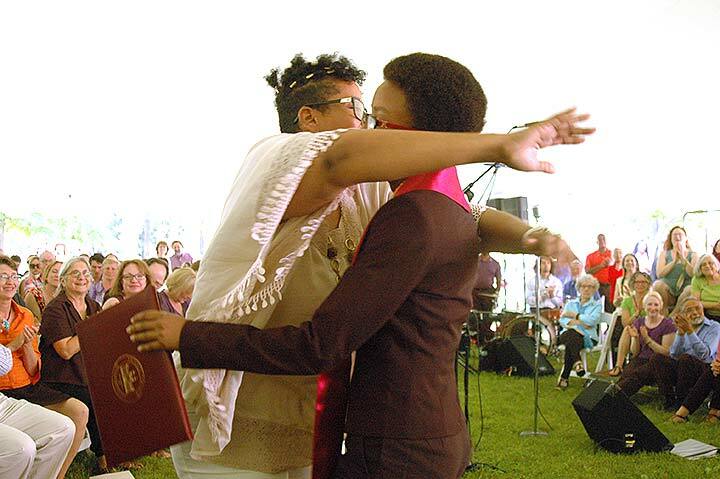 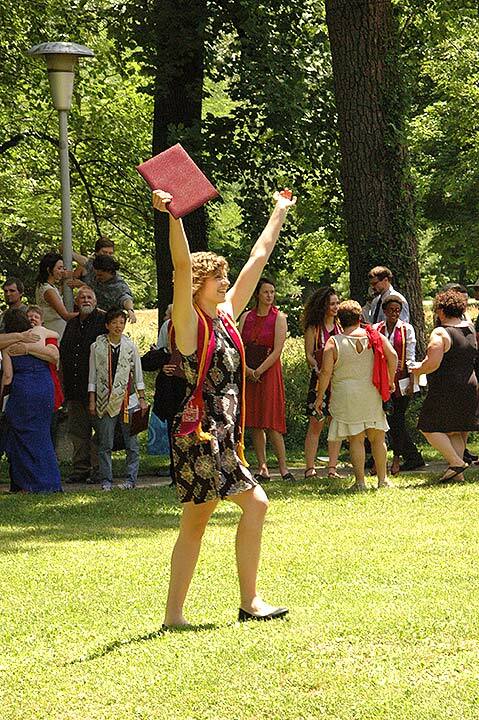 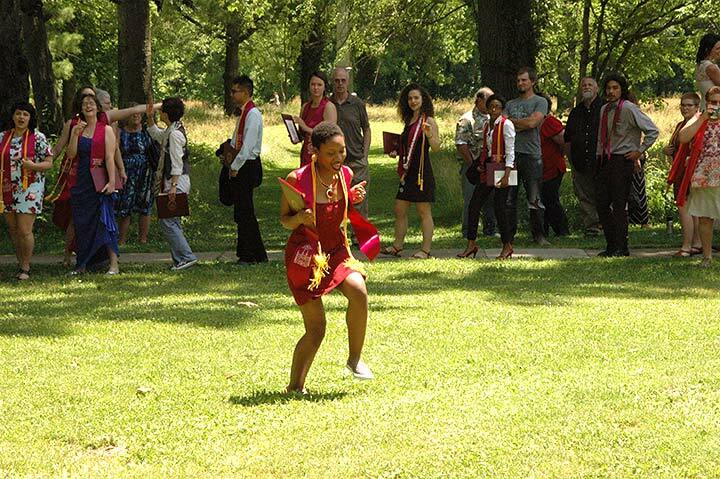 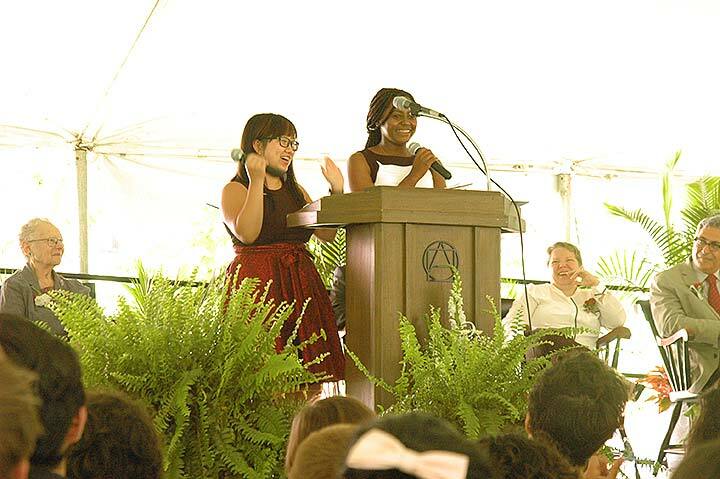 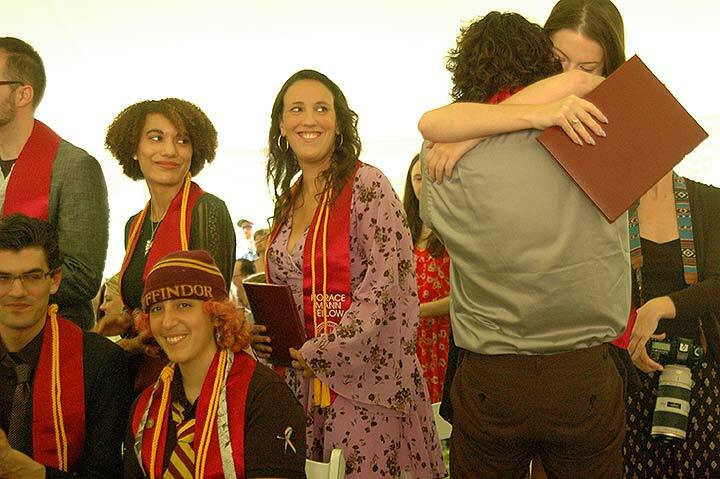 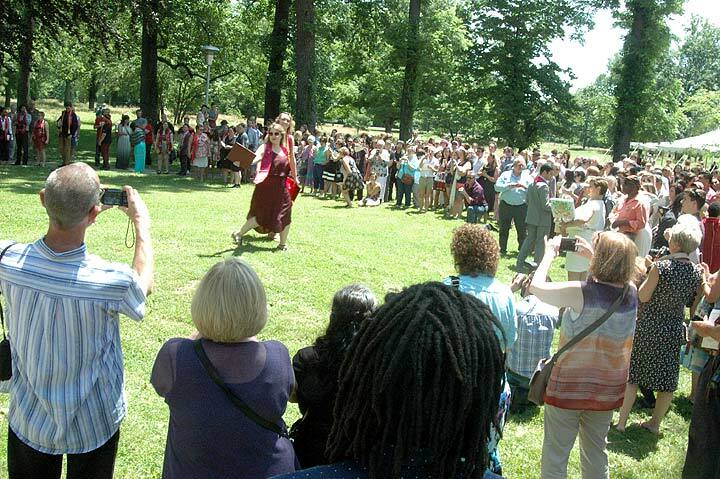 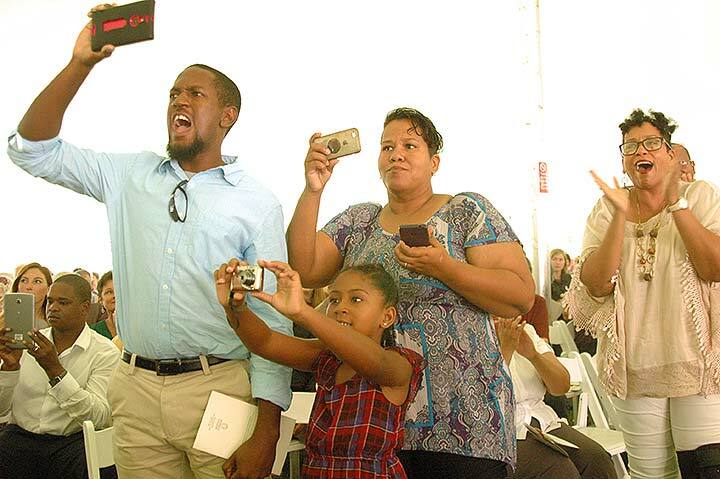 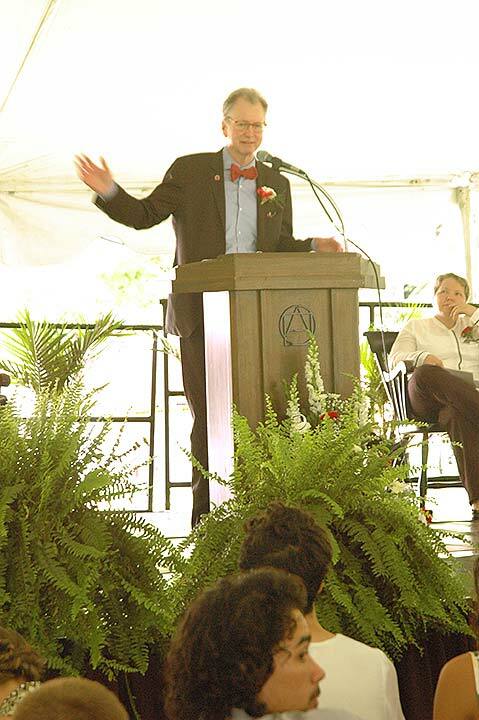 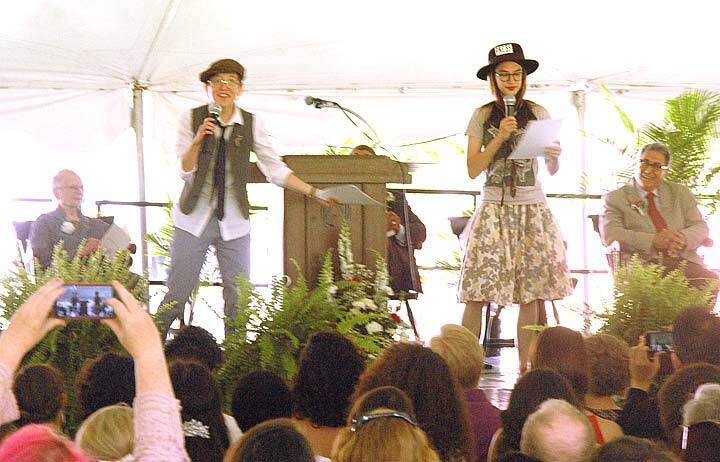 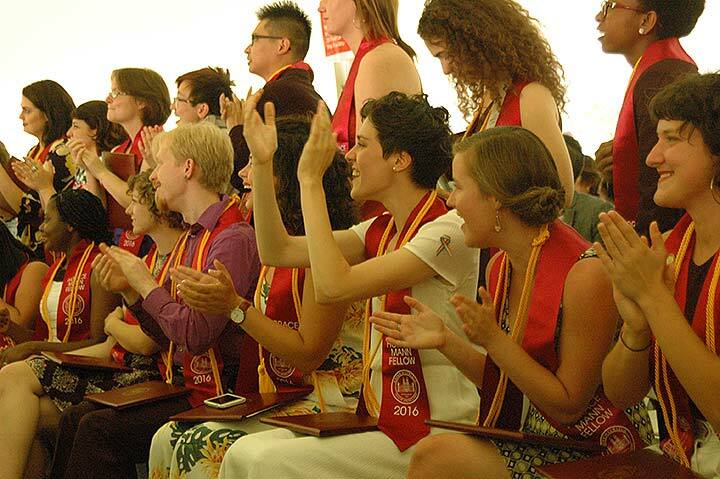 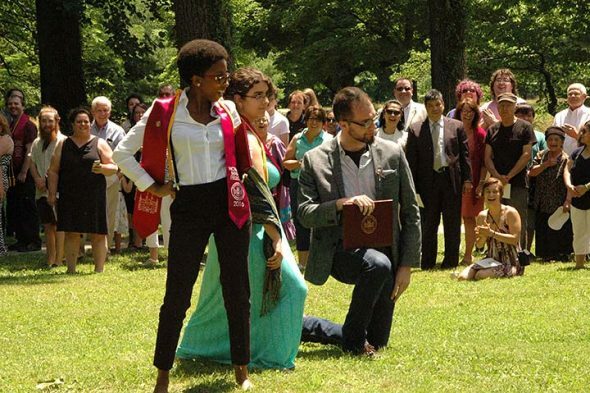 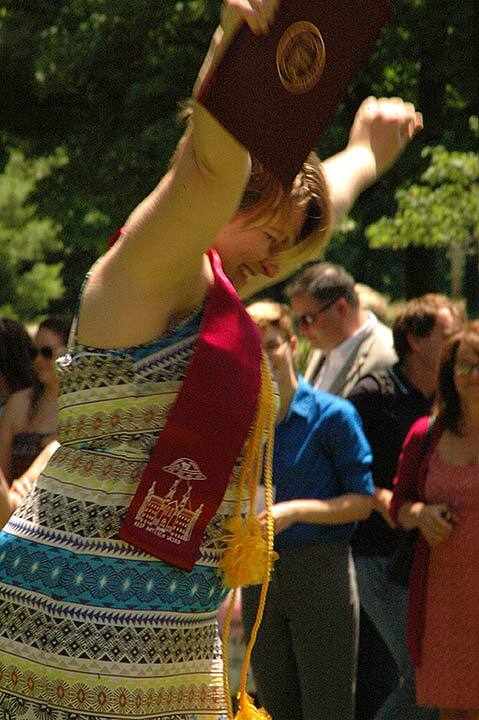 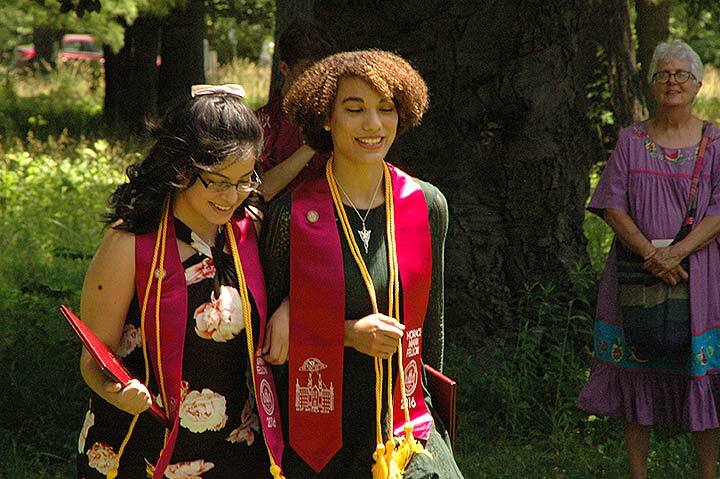 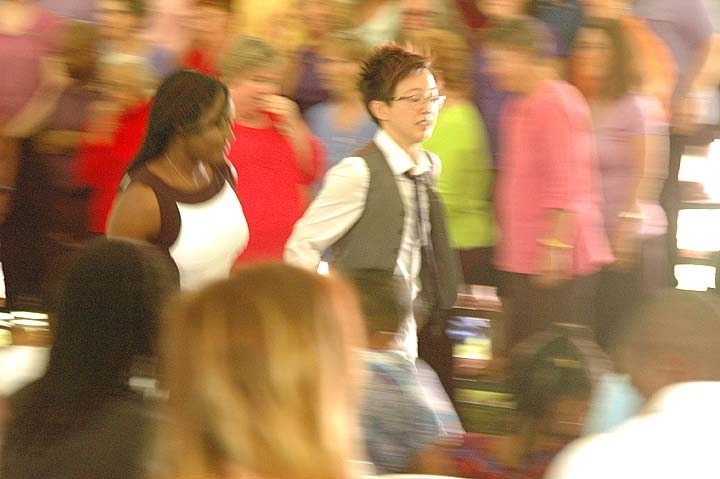 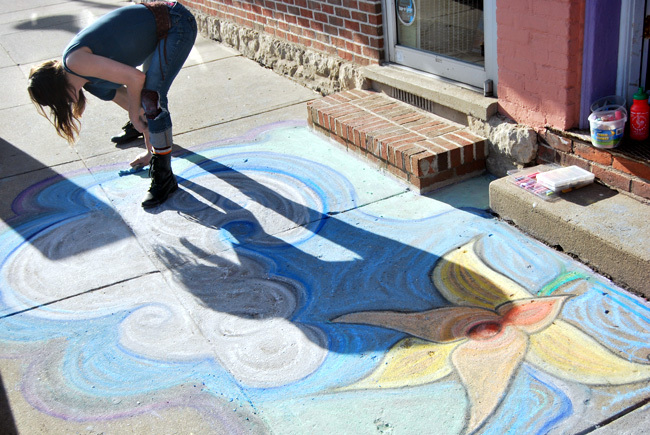 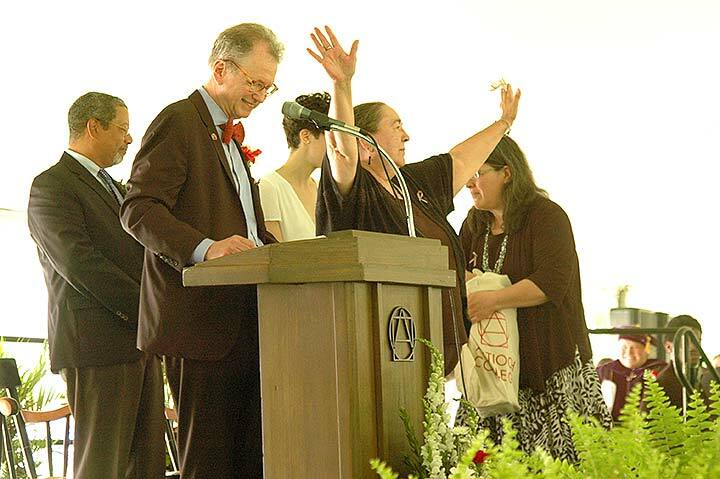 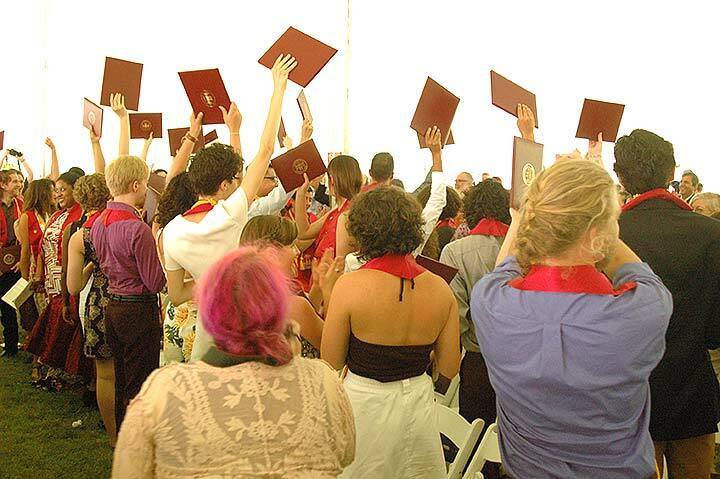 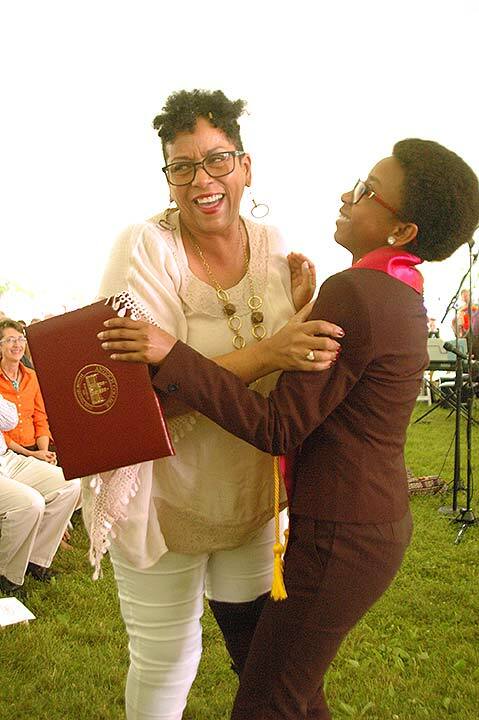 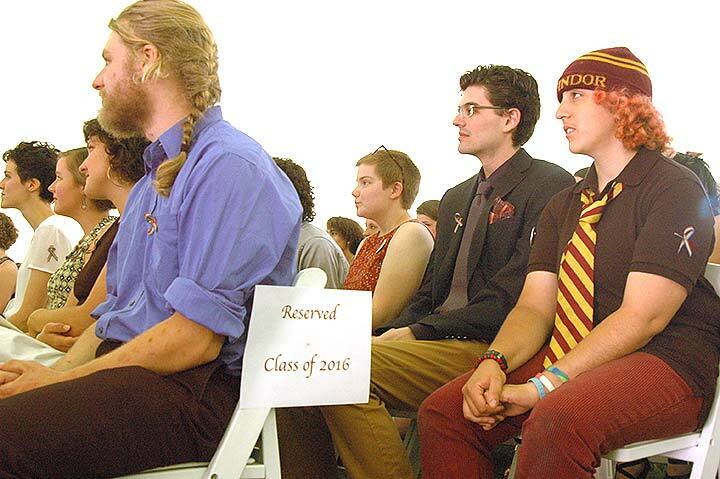 The weather was perfect, if a little warm, for the 50 members of Antioch College’s Class of 2016 to celebrate their commencement with friends, family and each other Saturday, June 18. 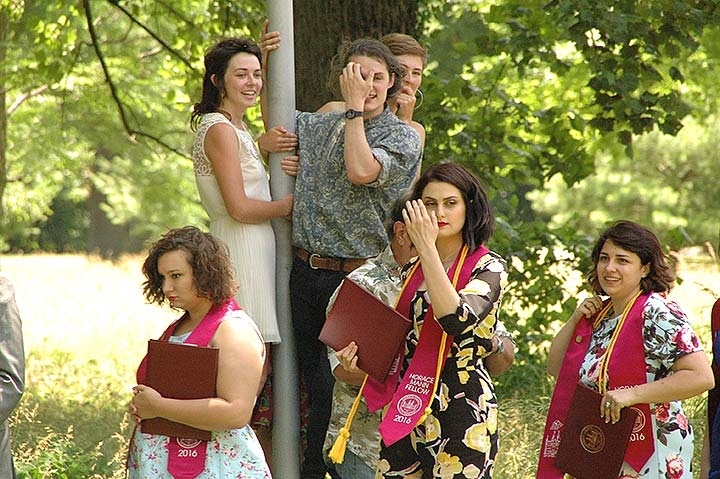 Newly minted graduates took turns crossing ‘the Mound’ — an old Antioch ritual made possible this year by the clement weather — in their own unique ways. 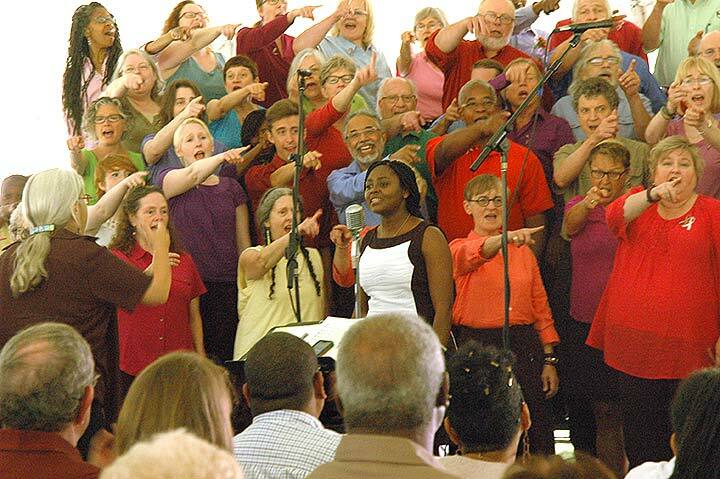 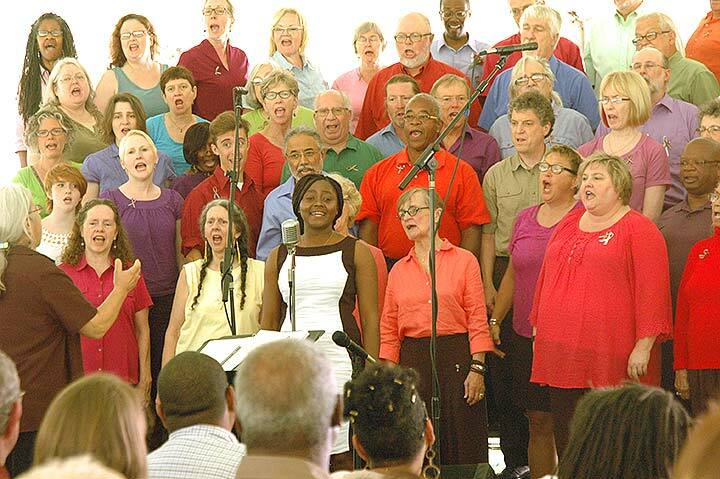 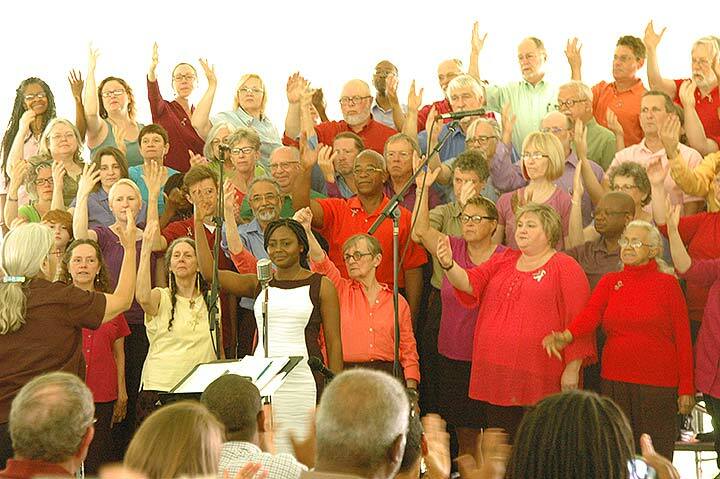 The World House Choir under the direction of Catherine Roma provided a rich musical texture, singing songs of struggle and hope. 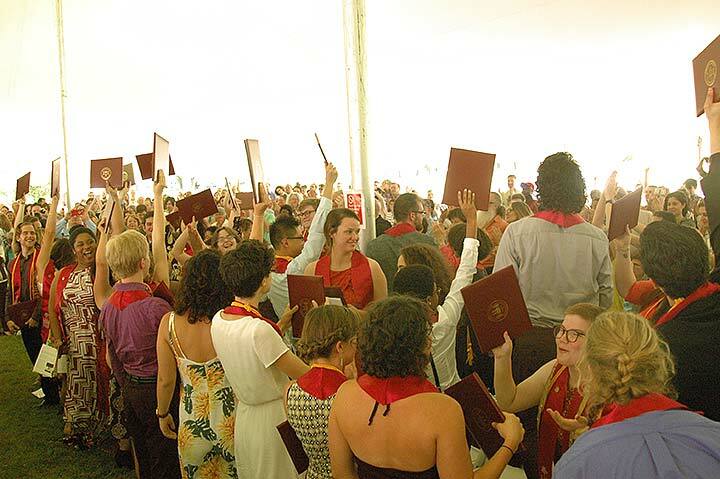 The commencement address was given by alumna of the college and chair of the Antioch College Board of Trustees Frances Degen Horowitz ’54. 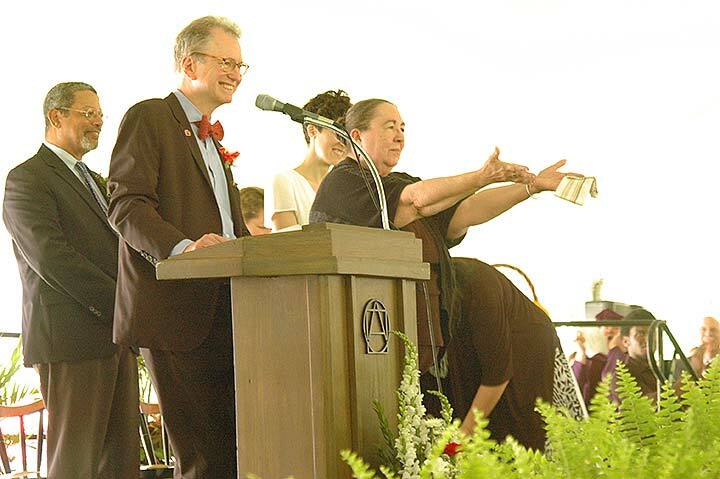 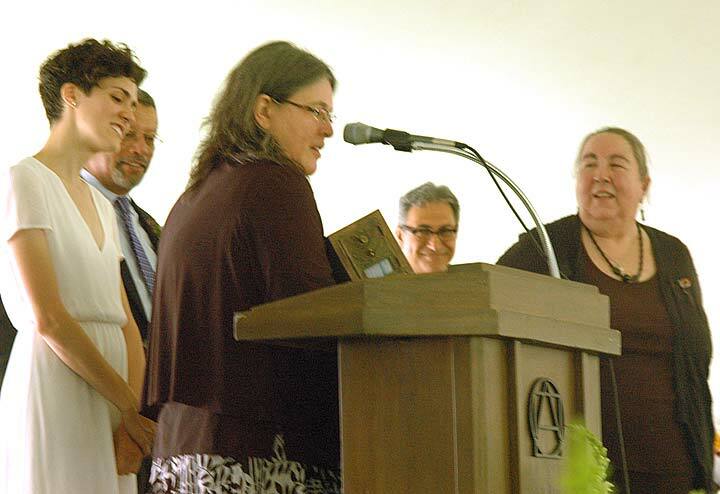 The college also celebrated the retirement of longtime staff member Anna Hogarty. 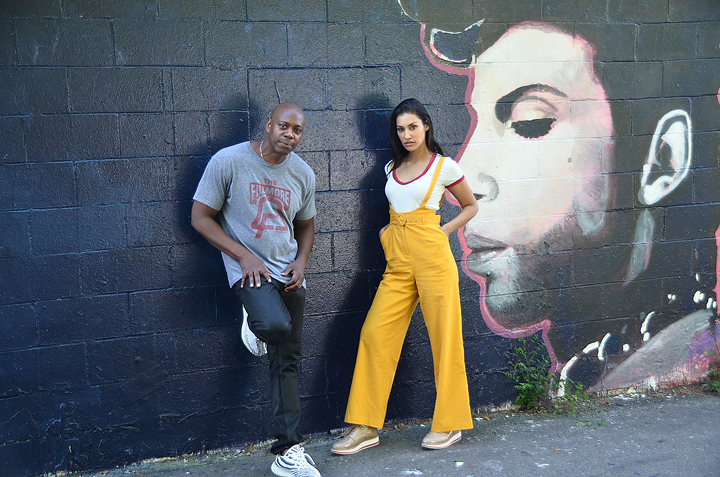 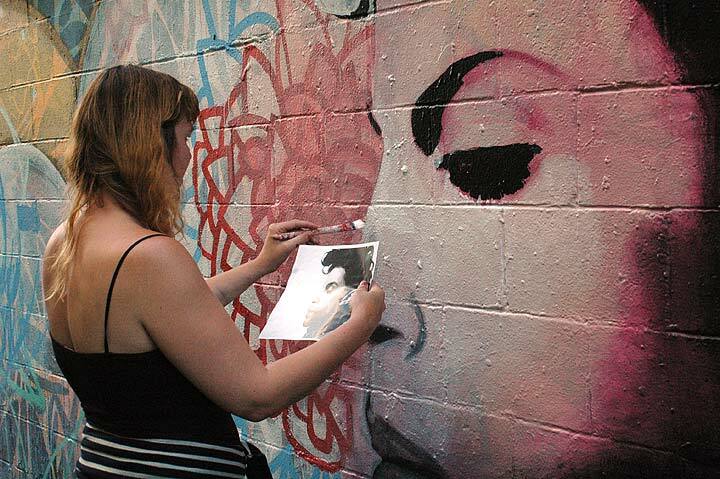 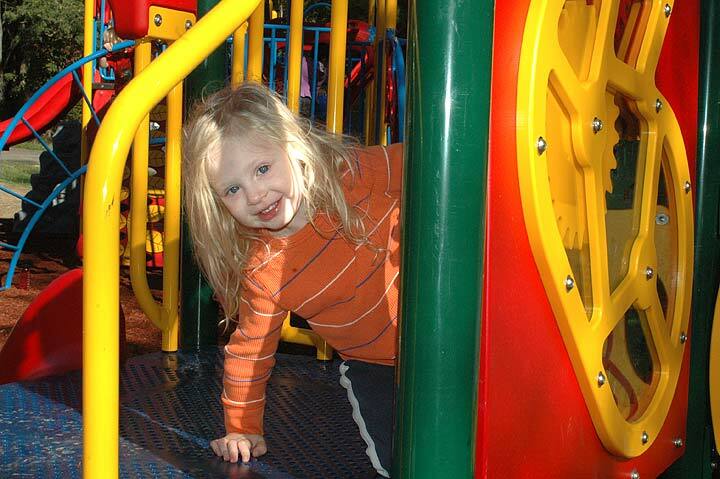 Follow this link to read an interview with her.